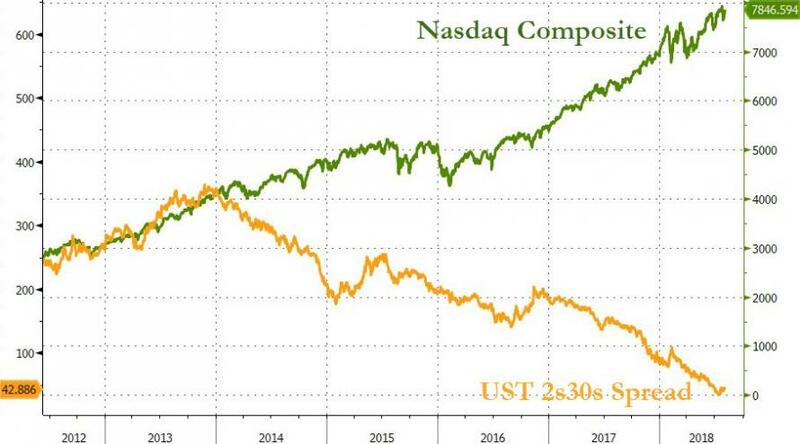 Trader Warns "The Entire World Is Explained By 10-Year Yields"
"It’s time to finally admit that fixed-income markets are the only ones capable of expressing an honest picture of the world. 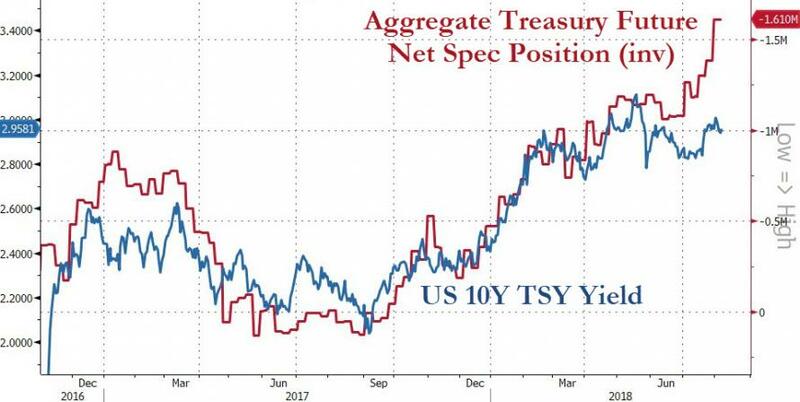 And the picture they paint with 10-year Treasuries, bunds and JGBs at recession-level yields is something that can’t any longer be blithely explained away as some technical distortion. " 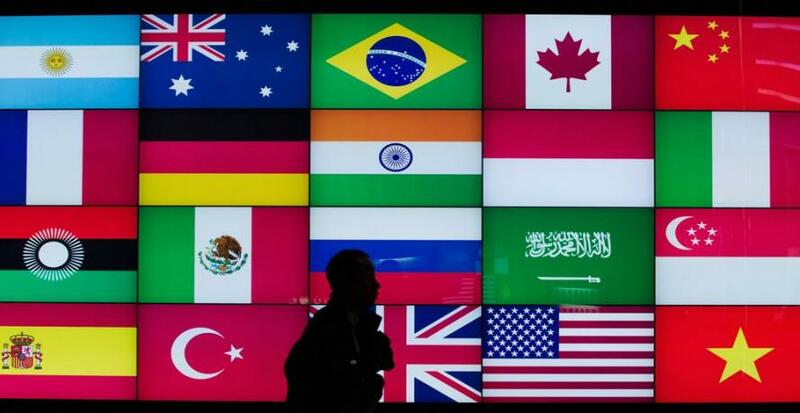 It doesn’t matter to -- or perhaps it is better to say it is crucially indicative of -- underlying sentiment, that no matter how much of this stuff profligate governments will be issuing, investors feel the urgent need to have them in their portfolio. With all due respect to those positing much higher yields as a real risk given the hunky-dory view of the world from the large corner suite, we remain as mired in economic inequality as ever. With all of the threats that portends. And anxiety levels have not abated. I couldn’t care less what some statistic that anyone wishes to cite claiming that it isn’t true. 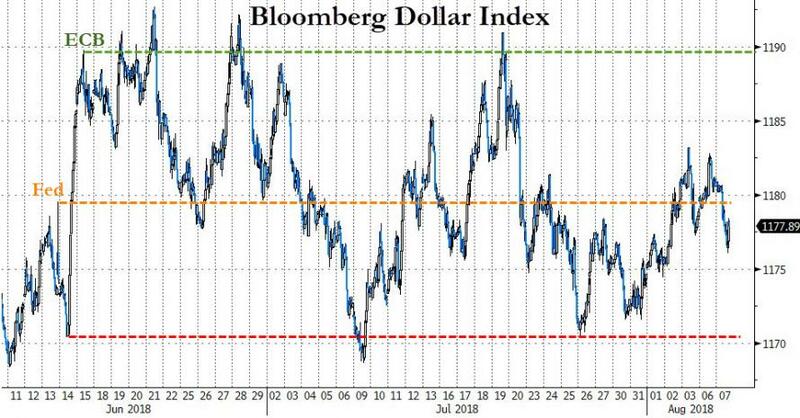 Dr. Lawrence Summers wrote an interesting article that is running today on the Bloomberg terminal. In it, he lays out the challenges political leaders must overcome to preserve in whole, or at least mostly, the post-war global Western hegemonic order. In truth, we are sliding further and further away from achieving any of those goals. Suddenly locking in 3 percent yields doesn’t seem so counterintuitive. Equities can go to the moon. With the sovereign wealth funds picking winners and losers among supposed competitors and putting public monies behind their choices, how far down is big tech really going to go? On the day that Apple hit its valuation milestone, I was looking at the list of owners of the shares and suddenly wasn’t nearly as impressed. Buying back shares, touting “adjusted earnings” and substituting M&A for actual investment makes these markets great investments, but hardly indicative of economies putting the thoughts of future recessions out of everyone’s minds. There were three stories I read yesterday that really got me going. A great read about a well-deserved victory lap by Morgan Stanley for having called a month ago the big-tech correction. In it they say that, after making the out-of-consensus prediction, their phones “were not ringing”. Apparently, the pull of confirmation bias precluded clients from wanting to hear another opinion. Is it true that you can’t be fired if you maintain that everyone you talked to agreed with the position? Anyway, as the sell-off took place, “inbound traffic picked up considerably”. This story is indicative of so much. The second story was about Facebook wanting to team up with banks and share information to offer customer-service products. The shares of the company and the financial sector as a whole rose. How quickly we all forget. I know the first question I would ask the next time a banking regulator testifies that we are being too harsh. Lastly, I was reading the gruesome accounts of the diplomatic blow-up between Canada and Saudi Arabia. It was appalling that so much of the analysis focused on what this could cost in trade. Concluding, it was affordable. I’m sure this is not what Keynes meant when he argued about the primacy of economics in guiding the world forward. Since it has been a day of rethinking things, I’ve got another. As one dollar bull to another. The charts just won’t be convinced this thing is going anywhere anytime soon. The trading range of DXY, with its multiple tops, is just too compelling to ignore. And the broader Bloomberg Dollar Index looks like it has already decided the rally has played out for now. Back to the drawing board.